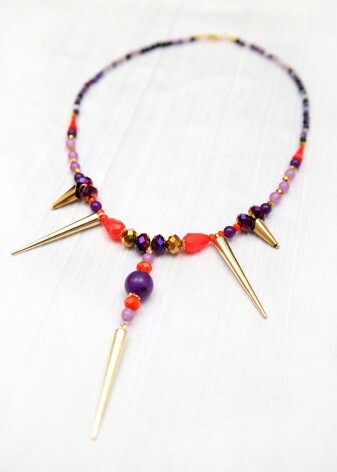 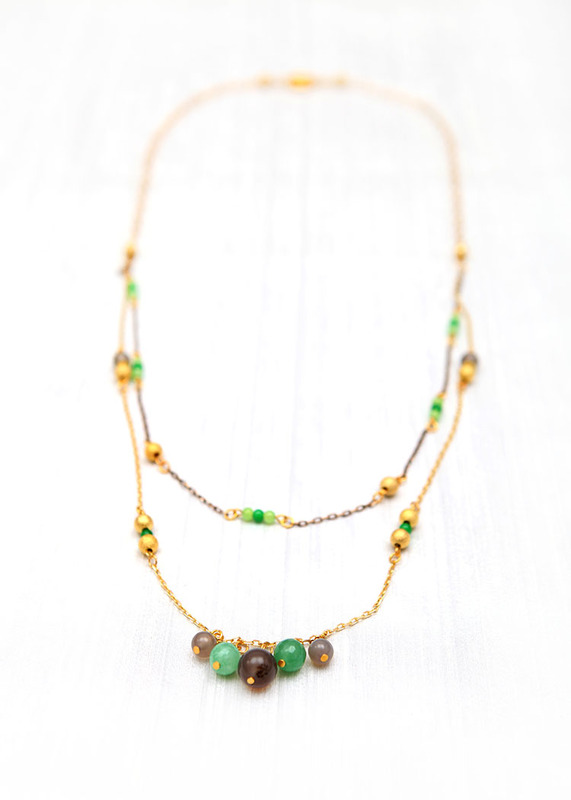 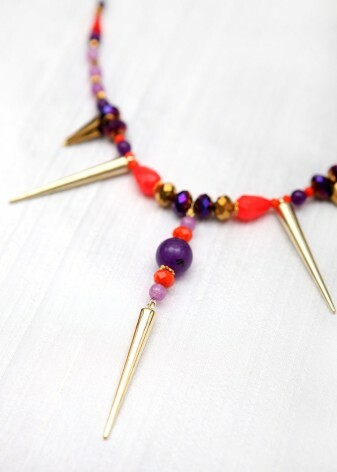 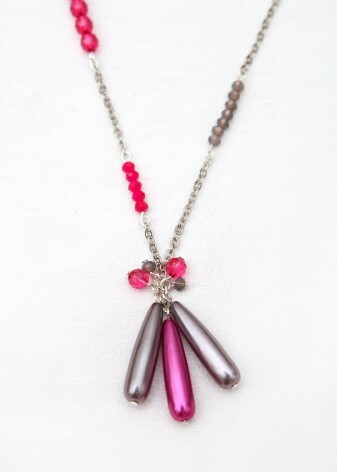 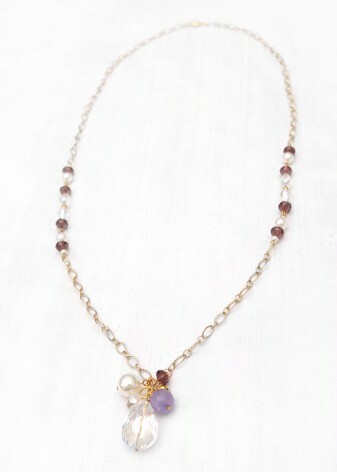 EDIT OR BUY AGATE BEADED DROPLETTE NECKLACE. 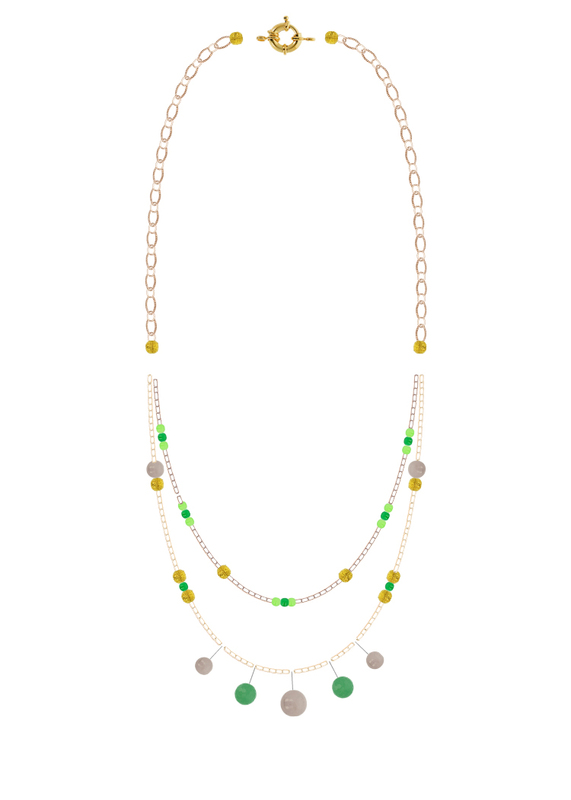 A delicate, bohemian piece, DIWAH’s amazing Agate Beaded Droplette Necklace showcases tropical shades of green and grey for a unique, customisable Amazonian style. 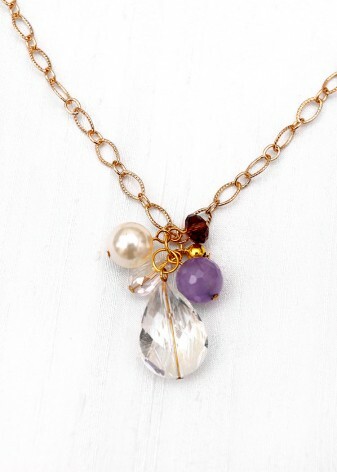 This matinee crescent is handmade using dainty, polished gold chain to add a luxe look. 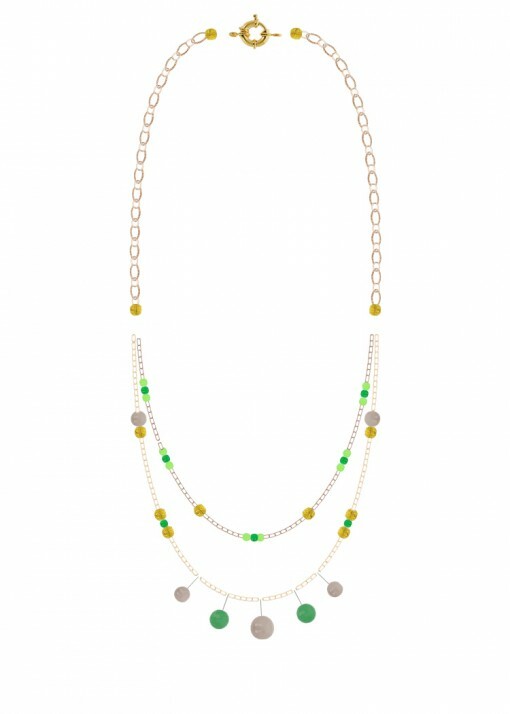 Decorated with gold finishings and vivid seed beads, the outer row is clustered with slate grey and fruity green charms in hues of crisp apple and soft pear. 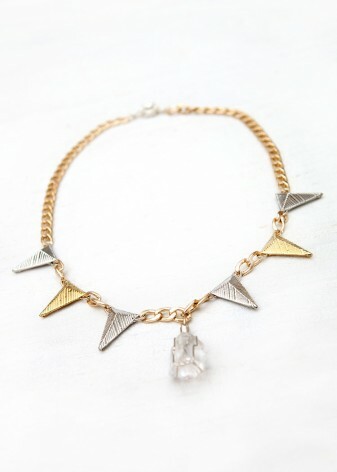 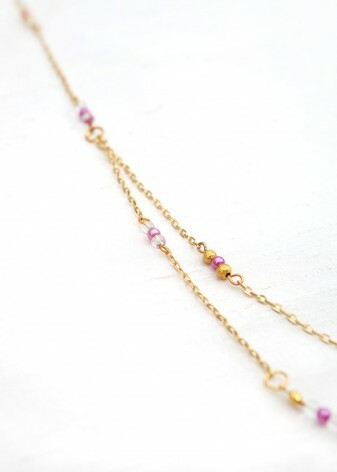 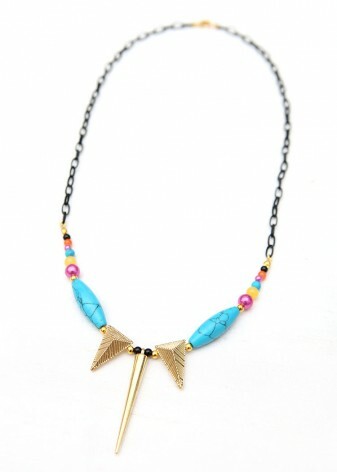 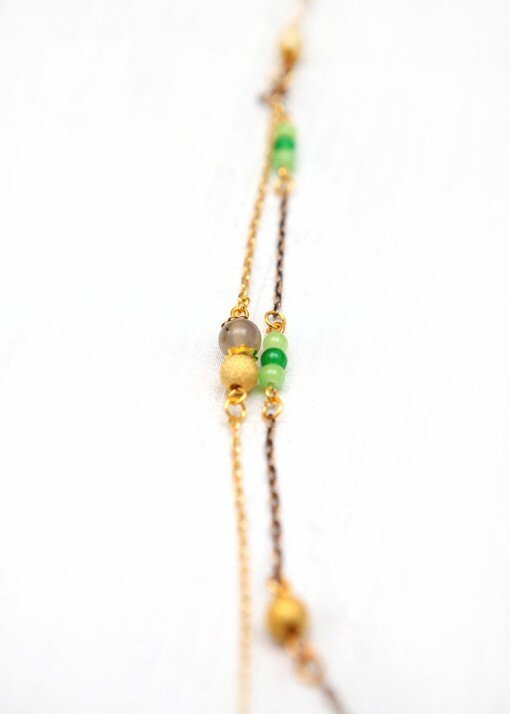 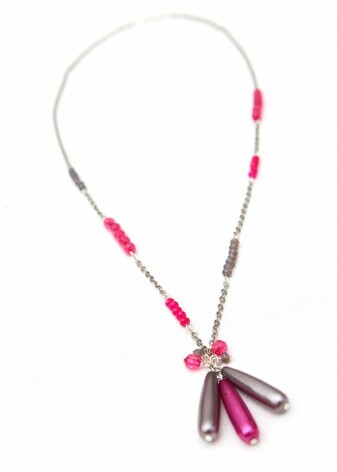 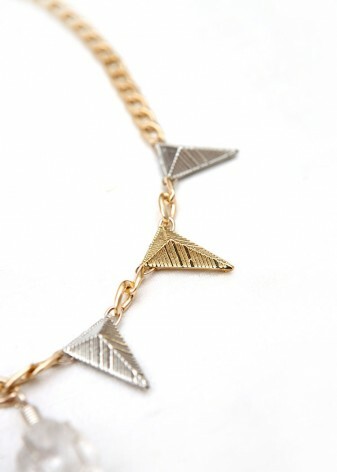 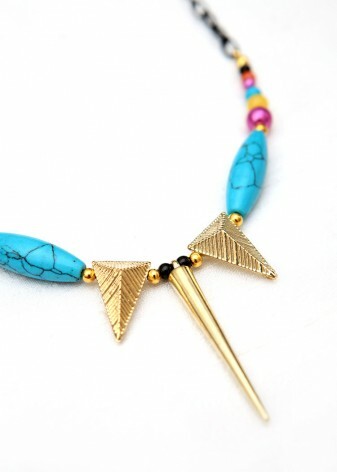 The quirky appearance of this long necklace is a feminine take on the tribal trend.